Have some bundles and misc items that I'd like to see go to some good homes. 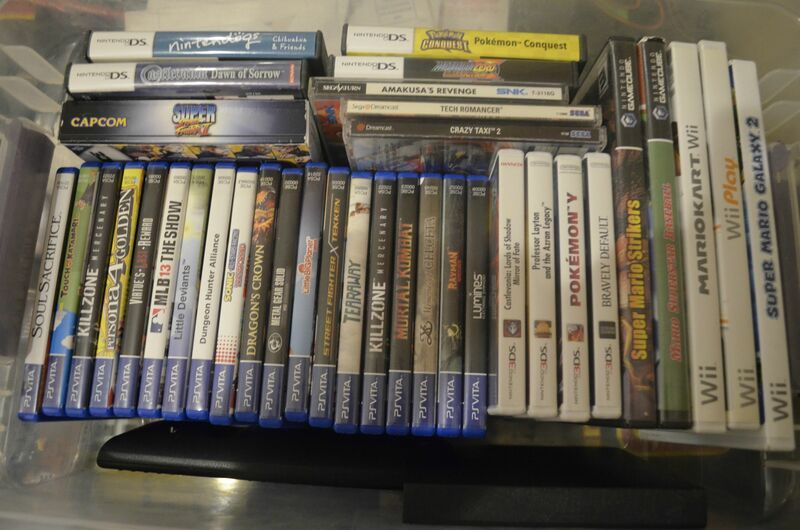 All games are complete in box unless otherwise noted. Varying condition but all guaranteed to play, smoke free, and presentable. Feel free to ask questions or for pictures. I'm can offer Paypal, Amazon payments, and other (non-sexual) favors. PM me and I am sure we can work something out. Boxes and Manuals of all kinds. Last edited by 8bit on Sun Jan 07, 2018 8:22 pm, edited 162 times in total. Re: Put me in the Racketboy Top 25! CHEAP or FREE Games! Current set up: Onlive, 32 GB Wii U , Star Wars Edition Xbox 360, 60GB PS3, soft modded Blue Wii, Mountain Dew Edition Xbox, Indigo Gamecube w/ Gameboy Player, Neo Geo CDZ, Neo Geo X Gold, Sega Sports Edition Dreamcast, Skeleton Saturn. Already I have pending offers on Smash Bros, F-Zero, Pilotwings, Turok, NeoGeo BC, and Castle of Shikigami. So PM me quickly if you see something you like! Thread updated as more things have been sold and some buyers have backed out.... this just means more chances for those interested in f-zero and smash bros! bump for new games and 6 packages dropped off in the mail today! I'm selfishly hoping you'll be adding more stuff so I can take advantage of this.